Learn the culinary art of Chinese cooking. As the most prevalent ethnic restaurant, anywhere you go, Chinese food is one of the most popular cuisines in the world. What if you could cook your own Chinese food the next time you want to take a trip down to your favorite Chinese restaurant or order Chinese food delivery, and save the money that you would have spent on it? With Excel Chinese Cooking, that's a reality. 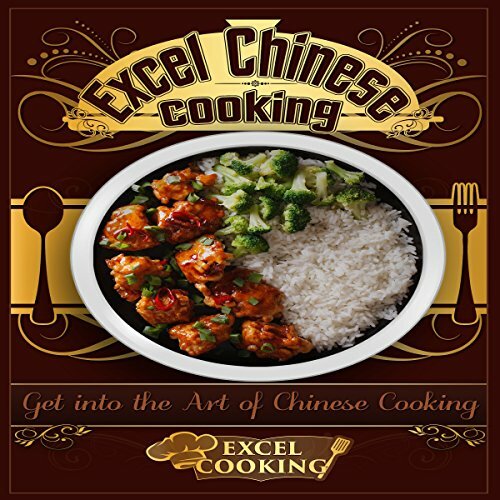 In Excel Chinese Cooking, you'll learn how to start making your own delicious Chinese food at home with easy-to-follow and comprehensive instructions. We tell you everything that you need to know and give you the recipes that you love to really excel at. Cook up the food you want, anytime you want.